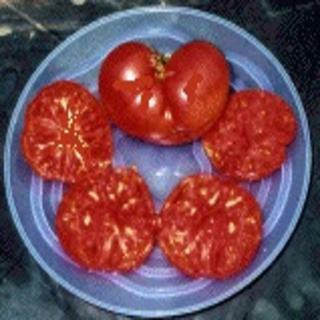 If you are looking for a " meaty" tomato, you must try this one! When sliced open, they look like a sheet of rose ice, with solid flesh and only the tiniest few seed cavities. Heirloom Seed Packet. If you are looking for a " meaty" tomato, you must try this one! I've never seen anything like it. When sliced open, they look like a sheet of rose ice, with solid flesh and only the tiniest few seed cavities. It's scrumptiously sweet.